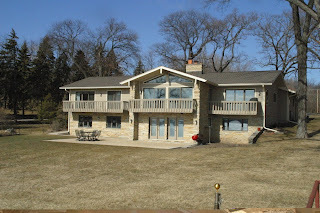 The 2012 Delavan Lake real estate market finished strong with December sales bringing numbers even with 2011 activity. For the entire year there were 20 waterfront properties sold which is the same number sold in 2011. There were also 31 lake access homes sold in 2012 which was three more than last year. 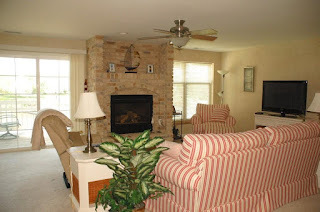 The range of lakefront sales was $275,000 for a three bedroom, two bath home with 100 feet of frontage on the Inlet to a $1.3 million estate with 150 feet of prime North Shore frontage and four bedrooms, three baths, and 1.5 acres of neatly manicured land. The range of lake access homes was $32,101 for a two bedroom foreclosure in Delmar to $480,000 for a modern three bedroom, four bath two-story with direct lake views in the Viewcrest subdivision. The most expensive sale in 2012 was this $1.3 million estate. 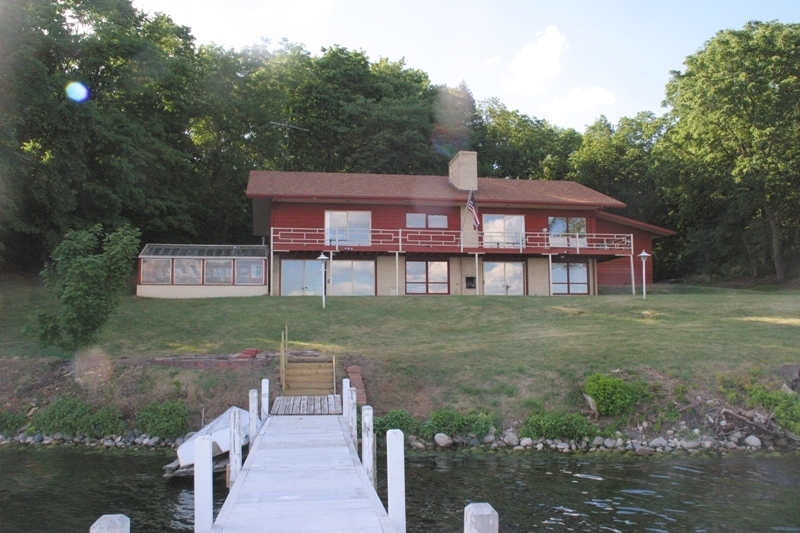 There were 16 Delavan Lake condos sold in 2012 compared to 14 in 2011. The range of sales was $30,000 for a foreclosed one bedroom Lake Lawn unit to $300,000 for a furnished three bedroom, three bath Delavan Gardens model with direct lake views and a boat slip. The inventory of homes for sale has dropped from 76 last year at this time to only 60 this year. For a lakefront property, the range is $164,950 for a two bedroom teardown on Browns Channel to $1.625 million for a North Shore estate with 221 feet of prime level frontage and an older four bedroom, four bath walkout ranch. Lake access properties start at $65,900 for a two bedroom foreclosure in the Delmar Subdivision to $375,000 for a four bedroom two story in the Viewcrest subdivision. Listed condo units also dropped with only 37 on the market now compared to 40 last year at this time. Units range from a $43,500 one bedroom unit in Delavan Lake Resort to $279,000 for a one bedroom Lake Lawn Resort unit. 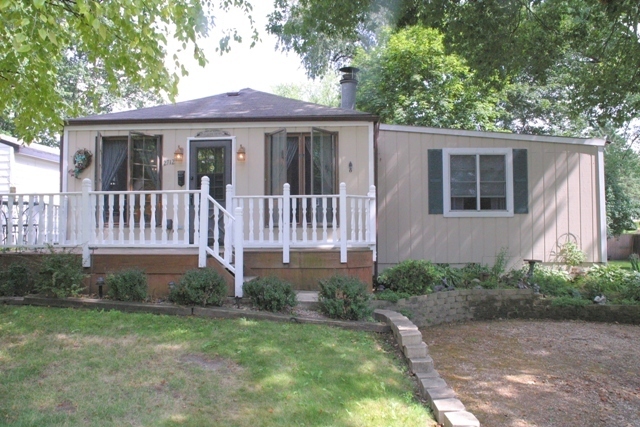 The best value for a lake access property on Delavan is an updated two bedroom, one bath home in the Delmar Subdivision for $139,000. 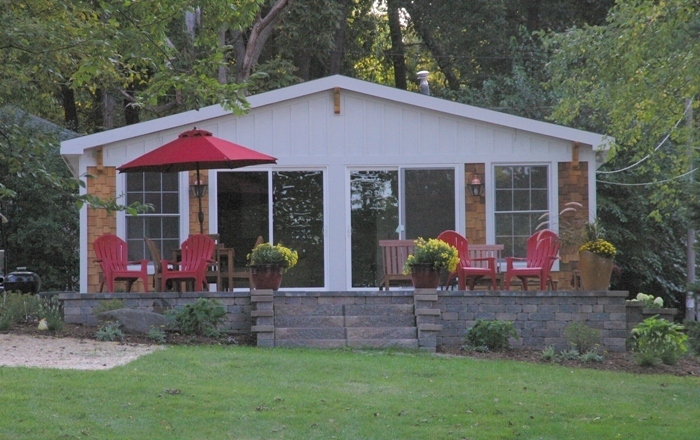 The best lake access value features two bedrooms and back yard patio. The best value for a Delavan lakefront is a completely remodeled $524,900 three bedroom, two bath retreat located on Fleming Drive off of Delavan’s North Shore. This home is set for entertaining and enjoyment with a large lakeside patio, private beach and open concept design. Completely remodeled this home on Fleming Drive is ready to enjoy. The best value for a lakefront condo is a one-bedroom, one-bath unit in Geneva Landings. Listed for $184,000, the unit features laminate flooring, newer appliances, ceramic tile and a private deck. The complex contains an outdoor pool, club house, boat slips, and a fitness room. Over $40,000 in upgrades make this one bedroom the best condo deal. The recent stretch of cold weather to end 2012 brought out the Delavan Lake ice fishing enthusiasts. Most local anglers are reporting an average ice depth of about 5 to 7 inches, not enough to drive on yet, so keep your cars at the launch. The ice is definitely safest in the bays but the warmer forecast makes some areas risky to venture out on.. Most fishermen have been heading to the launch on Bluegill Road. Some anglers have been parking by Endzone Bar off South Shore Drive, but do note that you’ll be in for a hike. Pike have been hitting medium and large shiners in the Highway 50 boat launch channel. Let your bait dangle right below the ice. No sinker needed. Talking to some local anglers coming off the ice yesterday, slow fishing action made a sudden change as soon as the barometric pressure plummeted last Wednesday afternoon. Some tip ups were flying, and blue gills were biting over weed beds about 8 to 10 feet down. Anglers have been saying the early morning has been producing the best bite so far. West winds usually bring a good bite on Delavan, and that’s what we’ll continue to see the next couple days. Look for temperatures to warm up to the upper 40s on Saturday. Lunar reports are forecasting peek fishing times at 8 a.m. and 4 p.m., and that’s been consistent with what anglers have been reporting all week. If you plan on heading out, don’t forget that the minimum length limit on large mouth and small mouth bass is 18 inches, and the daily bag limit is one. The minimum length limit on northern pike is 32 inches with a daily bag limit of one, and the minimum length limit on walleye is 18 inches, and the daily bag limit is three.